How Hoverboard got its name? Hoverboards or self-balancing scooters is a personalized transport. It consists of two motorized wheels that are connected to a pair of articulated pads on which the rider places their feet. In fact, the rider can control the speed of the hoverboard by leaning forward or backward and change the direction by twisting the pads. Hoverboards or Self Balancing Scooters had invented in the year 2013.However, after its invention, the device has become a subject issue for the patent rights. More, the manufacturing had started in China. In the year 2014, early units caught fire because of overheating the battery. Along with that in 2016, companies of China and USA producing Hoverboards have to recall their 50,000 products. In 2013, first Hoverboard or self-balancing scooters had founded by American businessperson Shane Chan. In May 2013, he had launched kick-starter fund raising campaign. Chinese company Chi Robotics had to know about the hoverboard by a weird article “Smart S1” suggested by David Pierce. Earlier Hoverboard called Hover trax. Chic Robotics, Chinese company released its first Hoverboard “Smart S1” in August 2014 in Canton Fair Trade Show. In short period of time, this device got huge popularity in the western countries. Initially, many popular celebs like Justin Bieber, Jamie Foxx, Chris Brown, and Kendall Jenner endorsed Hoverboard (Self-balancing scooters). By 2015, Shenzhen region of China had become the place of manufacturing Hoverboards. Apart from that popularity of the Hoverboards, there were several issues raised in China by Chen regarding the patent rights in China. After that, Mark Cuben had announced to take the Hoverboards patents from Chen. It was because of the defects in the products manufactured by the Chen Company. However, the issues were constantly rising. Again, in 2016, US International Trade Commission had issued patent infringement against UPTECH, U.P Technology, U.P Robotics, Free Go China and Eco Boomer but settled with segway. In fact, it is interesting to know that how hoversboard has its name. Hoverboard is the term used to define the device self-balancing scooters. Actually, the device does not hover; actually, it has consideration in the media. The trademark of Hoverboard or self-balancing scooters registered in 1996. However, the first term used to describe Hoverboard or self-balancing scooters was skateboard like device that floats above the ground in 1967’s Science fiction novel by MK Joseph. Commercially Hoverboards or self-balancing scooters recognized as a wheeled scooter. Moreover, in September, Marty MC Fly gave a new name to the Hoverboard that was ‘self balancing electric scooters’. Do you know about the invention of hoverboard? If, not here you can get to know about the invention of the hoverboard. 59-year-old Shane Chan has invented the hoverboard. He grew in China, and then went to USA in 1986. Now, based in Washington before setting up his own business of hoverboards, he worked as an scientific instrument designer until 2011. However, he began his new career in hoverboards. In the early innings of his career, he has designed Hovertrax. Now, he is working on his versions of hoverboards. In fact, his inventions have commercialized by other companies. Further, you can see that improved and copied versions of hoverboards available in the market. In the couple of years, we can see hoverboards are flooding in the market. Celebrities post their pictures with their hoverboards on the social media platform. Chan has used hoverboards for indoor purpose. More, he thought that people could stand safely if there are two separate places to put the foot for a safe ride. In the year 2010, Chan created solowheel. Later he worked on to design hovertrax. Further, it is surprising that seven invention of Chan has copied by the companies. There are several characteristics you should consider while buying a Hoverboard or self-balancing scooter. Let us start with the basics. Below are the basic characteristics that we use buying a Hoverboard or self-balancing scooter. This is the overall size of the Hoverboard. In fact, you do not a Hoverboard that is too narrow or wide. The best Hoverboard or self-balancing scooter for you is that on which you stand in a natural position. More, you find it comfortable to ride the Hoverboard or self-balancing scooter. Hoverboard or self-balancing scooters vary in weight according to the battery type and material used in them. It is important to get the Hoverboard that is light in weight. While buying the Hoverboard or self-balancing scooter one thing you should keep in mind that it is easy to carry and ride. Mono Rover R2D weighs only 22lbs costs around $599 on Amazon. Generally, the speed of the Hoverboard is around 5-10 MPH. However, this can surprise you, that there is a huge difference between in single mile per hour and that takes you to the different riding experience. It is important to include speed as an important in buying and riding a Hoverboard. Faster the Hoverboard means more fun and excitement. Robo TTurbo Hoverboard excels in its speed, hits around 15 MPH in just 6 seconds. More, you can get this Hoverboard from Amazon at around $549. The climbing angle of the Hoverboard is measure in degrees. In fact, the steepness of an incline of the Hoverboard, the rider can climb easily without losing power. You should know that how steep Hoverboard you can climb easily so that you do not find it difficult while riding. Along with climbing angle, cornering is also measured in angles. In fact, this tells you how you can turn the Hoverboard. In the Hoverboard, the tighter is the cornering, it is better to take the turns while riding the Hoverboards. In every Hoverboards, there is zero degrees rotation. This is same on all the Hoverboards so there is no need to worry. You should know that how long the battery of the Hoverboard lasts when it is fully charged. The Hoverboard or the self-balancing scooter should be best with its battery. Therefore, the rider does not find difficulty to find charge points for charging. It can long distance on a single charge. Robo TTurbo Hoverboard comes has the best battery life, you can travel 16 miles on a single charge. 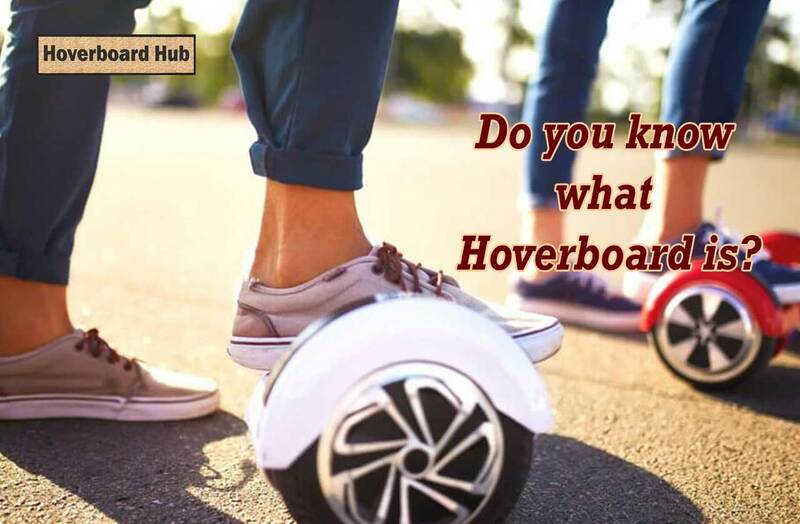 Here you can get to know about the maximum weight of the rider using the Hoverboard or self-balancing scooter. Generally, the durability of the Hoverboard depends on its capacity to carry weight. Some brands manufacture the Hoverboard or self-balancing scooters with cheaper parts that can break under pressure. The last but the basic variable of the buying a Hoverboard or self-balancing scooter is the price. In fact, it is the important feature to review a Hoverboard or self-balancing scooter. Primarily talking about the price of the Hoverboards or the self-balancing scooters is not expensive. Price of Hoverboards ranges from $100 to $ 1000. Most of you have searched on the internet for the prices of the Hoverboards. From where you can get the best deals on the Hoverboards.